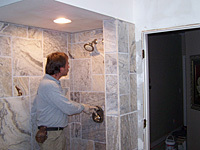 Bathroom Remodeling - Approved Plumbing Co.
Approved Plumbing provides complete or partial bathroom remodeling. If you are planning to remodel or update an existing bathroom, or add a completely new bathroom, Approved Plumbing can provide all of the services and fixtures you need to make it the perfect bathroom for your life style. If you are looking to stay in your home and ‘age in place’ as long as possible, we can provide all of the modifications you need to make your bathroom safe and user friendly – no matter what your physical limitations may be. Not sure what you’re looking for? 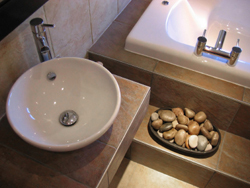 Approved Plumbing can provide the perfect custom design for your needs and available space. Save Up To $1000 Off Your New Bathroom! Call Us For Details.